At the top of the list is the Victoria Falls National Park, home to the world’s largest waterfall, Victoria Falls. As a popular tourist destination, Victoria Falls National park offers some of Africa’s most exciting wildlife safari’s as well as exciting activities, such as swimming in the world-famous Devil’s pool on the very edge of the majestic waterfall. A luscious rainforest, thick with ferns, liana vines and tall green palm trees flourishes within the park as a result of the spray from Victoria Falls. The park is also home to our very own Ilala Lodge Hotel located just 936 steps away, making it one of the closest hotels to Victoria Falls. The park extends along the Zambezi River and connects to the Zambezi National Park roughly 6 km above the falls, while extending a further 12 km below. The vibrant Victoria Falls town centre is also located within the national park and is a popular destination among tourists and travellers from all around the world. Visitors frequently come across elephant, Cape buffalo, hippo, warthog and multiple antelope varieties wandering through the streets of the town. Closely located, just 10 minutes upstream from the Ilala Lodge Hotel and Victoria Falls, and spanning an impressive 560 square kilometres, is the Zambezi National Park. 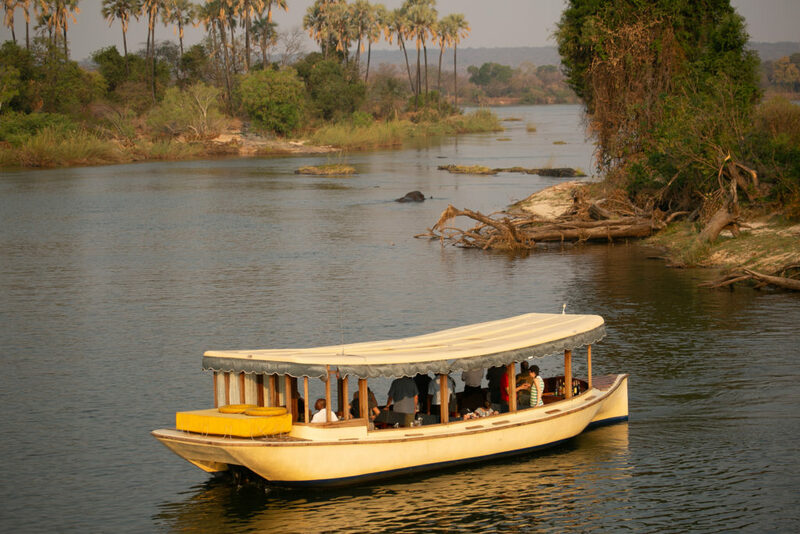 It runs alongside the legendary Zambezi River and is home to a wide selection of Africa’s favourite animals. Visitors to this exciting destination are likely to see the majority of the charismatic ‘Big 5’ including the African elephant, Cape buffalo, leopard and lion and will more commonly spot zebra, giraffe, kudu, waterbuck, eland, antelope and impala. Not to be missed are the ever-fascinating variety of bird life that scatter the river’s edge and luscious fauna surrounding it. With over 400 species recorded, included long-toed lapwing, Pel’s fishing owl and Lanner falcon, this is one place your binoculars and bird books will certainly be useful! If you love being on or near water, this is the perfect spot for you! The park runs alongside the powerful Zambezi River. Climb onboard a riverboat such as Ra-Ikane and prepare for a gentle cruise along the river, while snacking on tasty treats and sipping on delicious cocktails. For the early-risers, we also offer a morning Bird Cruise to spot the feathered fauna as they awaken, find out more about birdwatching onboard Ra-Ikane here. For the fishermen and women out there, the river also offers exceptional fishing opportunities – swirling with over 75 species of fish, including the legendary Tiger fish. Known as ‘The Land of the Giants’, Chobe National Park is Botswana’s very first national park, created to protect the diverse wildlife and promote tourism throughout Botswana. Spanning an impressive 10 000 square kilometres, the park is made up of a rich ecosystem of animal and birdlife within a diverse landscape. The park is home to one of the largest continuous surviving elephant populations, which began with just a few thousand in 1990, growing to an estimated 50 000! Characterised by their brittle ivory and short tusks, the Kalahari elephants are the largest of all elephant populations. Alongside the impressive elephant population are large concentrations of lion, African leopard, African wild dog, Roan antelope, sable, hippo and a diverse variety of birdlife. Visitors to Ilala Lodge Hotel can book a Chobe day trip by visiting the Activities Desk or contacting us directly. 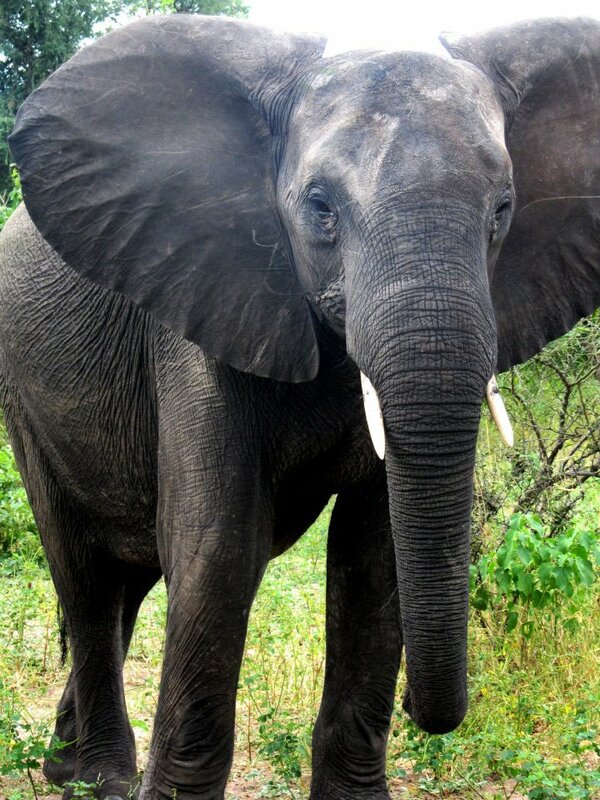 For more detail on what a day trip experience to Chobe National Park includes, read our previous blog. Located south of Victoria Falls Hwange National Park the largest and oldest nature reserve in all of Zimbabwe! It borders the edge of the Kalahari Desert within a region containing little vegetation and water. Seasonal wetlands form grasslands and waterholes, to provide the animals with a vital source of hydration. Hwange is home to some of the continent’s largest elephant and buffalo herds, with a population varying between 20,000 and 110,000. 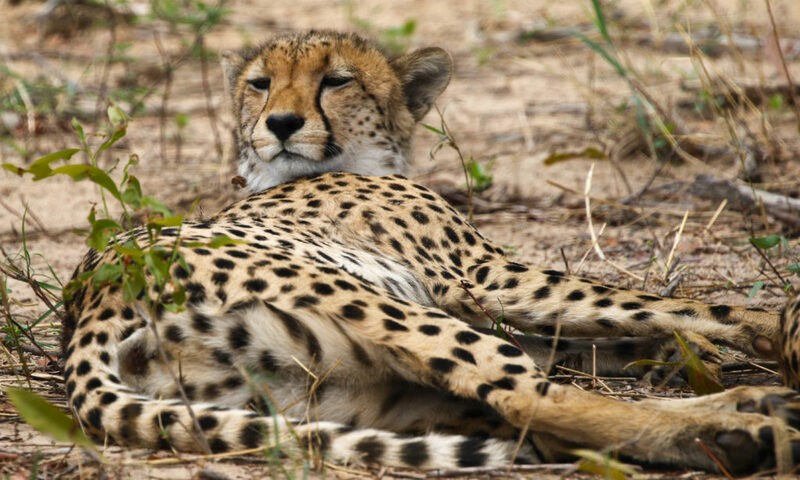 Predators including lion, leopard, spotted hyena and cheetah are often seen within the protected area, along with Africa’s largest populations of Cape wild dogs. Hwange is populated with a selection of birds, including the Yellow-billed kite, Southern ground hornbill and the Dickinson’s Kestrel. 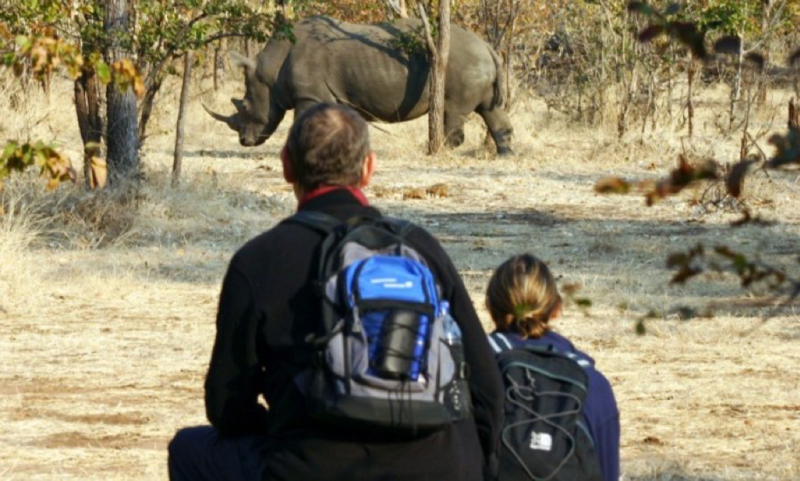 The park offers some of Africa’s best safari activities and experiences such wildlife safaris. If you’re interested in finding out more, read our previous blog detailing the excitement of a day trip to Hwange, here. Mosi-oa-Tunya National Park is home to one-half of the world’s largest waterfall, Victoria Falls. 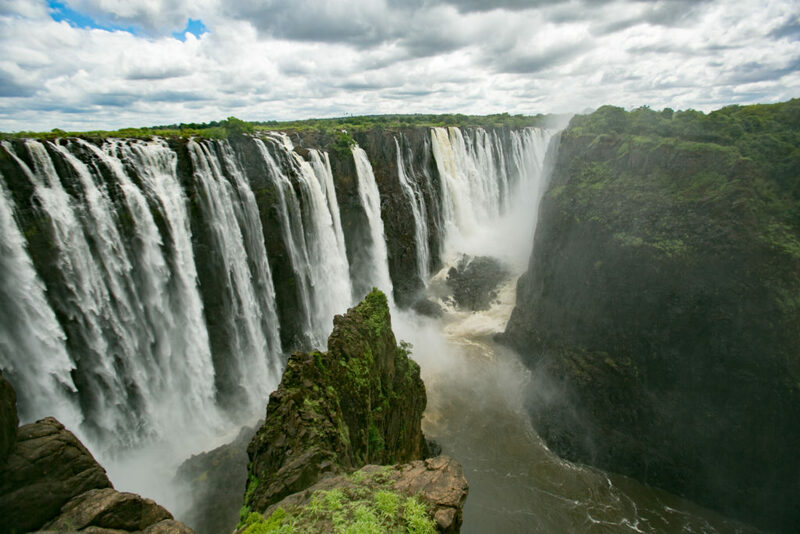 Listed as a UNESCO World Heritage Site the mighty Victoria Falls is located within the national park, and includes the rainforest area on opposite the Eastern Cataract look-out point. The park runs from the Songwe Gorge, below the waterfall, along the Zambian River bank, covering 66 square kilometres. Luscious riverine forests decorated with palms, and large grasslands are located within the national park, while also scattered with an abundance of animals and birdlife. The national park proudly protects a number of rhinos which roam the park under 24-hour surveillance. African elephant, Angolan giraffe, Burchell’s zebra, sable, Cape buffalo, warthog, impala and a plentiful variety of other antelope can also be spotted. One of the most popular activities, when visiting the park, is the ‘Walking with Lions’ which offers a once-in-a-lifetime experience to get up close with a family of Lion, within the safety and protection of an expert guide.